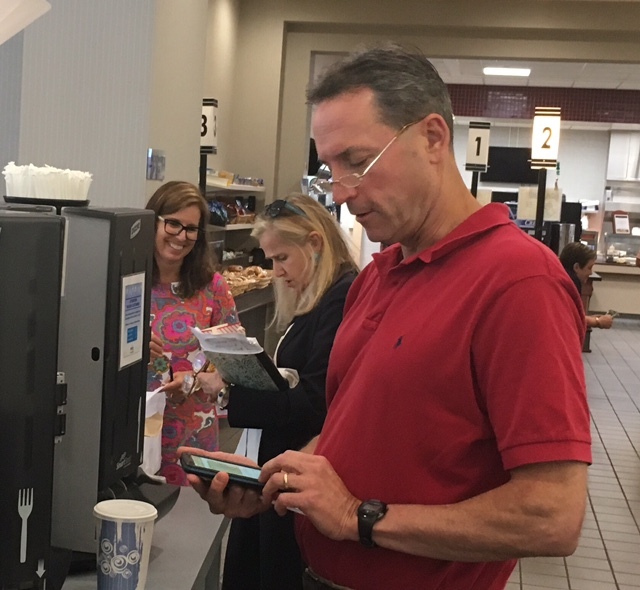 Sen. Paul Doyle checks his phone on a visit to the LOB cafeteria Friday afternoon with Sens. Joan Hartley, center, and Gayle Slossberg. The trio of Democratic state senators moved as a tight knot through the State Capitol and Legislative Office Building, their mood seeming light when a reporter tried to press them on what comes next should they vote today to reject a state-employee concessions deal worth $1.57 billion to Connecticut’s overdue two-year budget. If just one of them votes with Republicans in the evenly divided Senate, the deal would be dead, both burdening and empowering a Senate GOP that asserts it can deliver similar or better labor savings by legislative fiat, without bargaining away layoff protections and an extension of the basic agreement dictating pension and health benefits. They can kill the deal, but then what? The three holdout Democrats, Sens. Joan Hartley of Waterbury, Paul Doyle of Wethersfield and Gayle Slossberg of Milford, have yet to articulate an end game, a political means to an alternative, whether the Republicans’ or something they craft. On Friday, she, Doyle and Slossberg declined to comment on their plans — other than that they intend to show up today. Senate President Pro Tem Martin M. Looney, D-New Haven, who remains the top leader of the 18-18 Senate by virtue of the ability of Lt. Gov. Nancy Wyman, a Democrat, to break ties, said over the weekend he was optimistic about winning their votes, but he scheduled the vote on the concessions without a commitment. The House and Senate delivered Slossberg a major victory a week ago by overriding Gov. Dannel P. Malloy’s veto of the senator’s bill, which strengthened the hand of many municipalities in reviewing affordable-housing proposals. If that has made her more amenable to joining Democrats in ratifying the concessions, she is not saying. On the same day, the House voted to ratify the concessions on a near-party line vote. Every Democrat except Rep. John Hampton of Simsbury voted yes. Rank-and-file state employees previously voted overwhelmingly to accept a pay freeze, higher contributions for retirement and health care and a more modest retirement plan for new employees. In return, their basic agreement on health and retirement benefits would be extended five years, from 2022 until 2027. House Minority Leader Themis Klarides and Senate Republican leader Len Fasano are striking different tones toward the three Democrats. Republicans, and conservative groups itching for the ability in 2022 to debate deeper cuts in benefits that they say are necessary to stabilize the state’s long-term finances, say the extension surrenders too much leverage to labor and for too long. Debating the strengths and weaknesses of the concessions deal is easy. Mapping a path to doing something different about it is not. Had unionized employees rejected the concessions, as they did initially in 2011 when Malloy closed an inherited shortfall of $3.7 billion with spending cuts and more than $1.8 billion in higher taxes, many legislators say Republican proposals to dictate wages and benefits by legislation, not collective bargaining, would have found broad acceptance. But they didn’t, leading Malloy, Looney and House Speaker Joe Aresimowicz, D-Berlin, to say it would be unthinkable for them to unravel collective bargaining laws after the state employees bargained in good faith. All three would need to turn on labor, since any one of them is a formidable obstacle to passing a GOP budget built on undercutting collective bargaining. The General Assembly, whose regular annual session ended June 7, is in special session, when no bill can come before either chamber without the consent of both Looney and Aresimowicz. Republicans’ only option would be to amend a Democratic budget when one finally comes to a vote, but Malloy still could veto it. So, one of the questions for Hartley, Doyle and Slossberg is this: If they reject collectively bargained concessions, is there the remotest possibility that Looney, Aresimowicz and Malloy would consent to a fundamental change in the state’s approach to labor by dictating wages and benefits? Yankee and the State Government Leadership Foundation, an adjunct of the national Republican State Leadership Committee that is funded by major corporate donors, are campaigning against ratification. The foundation bought commercial time Wednesday on the local affiliates of ABC, CBS, NBC and Fox, less than 48 hours after the House vote. As a non-profit running ads directed at an issue, not the defeat or victory of a candidate, they are not required to disclose the size of the ad buy in the public filings of the television stations. They also are posting it as a digital ad. It may be extravagant to run commercials on four television stations to influence three legislators on a single vote, but less so if they are the opening salvo of an independent-expenditure campaign directed at influencing votes next year, when there is an open race for governor and a fight for control of the closely divided legislature. The Republican State Leadership Committee, which has the same address and chief executive as the State Government Leadership Foundation, budgeted $350,000 on targeted legislative races in Connecticut last year, when the GOP did what had seemed impossible in recent decades: They picked up seats in a presidential election year, despite Hillary Clinton’s carrying the state as Democrats have done every four years since her husband’s victory in 1992. The larger electoral stakes are evident in some of the public statements of Democrats and Republicans. A Yankee Institute press release Saturday included a statement from House Minority Leader Themis Klarides, R-Derby, in which she mocked the Democrats whose votes the GOP and Yankee ostensibly were trying to win. Four hours later, Yankee issued a second, more complimentary statement about the three Democrats, this time from the Senate GOP leader, Len Fasano of North Haven. Gov. Dannel P. Malloy talks about the concessions. 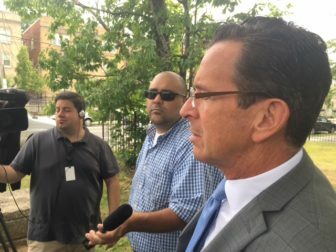 On Friday, Malloy trod carefully when asked about the three Democratic senators, instead focusing his criticism on Republicans, especially Fasano, who says a legal opinion by the attorney general supports his contention the legislature can impose the pay freeze negotiated by Malloy because wage contracts have expired. The A.G.’s office warned its opinion did not reflect a review of any specific proposal, and Malloy says there is ample precedent for unions to challenge such action. Malloy disagreed that the new concession deal necessarily would tie the hands of a future governor — no more than two previous deals limited him. He noted that he won concessions in 2011, even though one of his Republican predecessors, John G. Rowland, cut a deal with labor that extended the pension and health-care agreement to 2017. 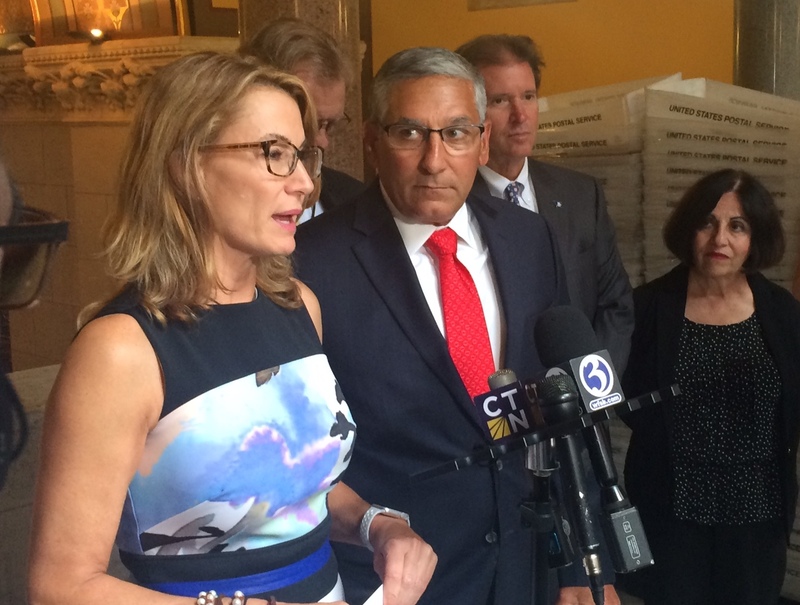 Malloy’s own 2011 deal extended it to 2022, but it is being renegotiated five years early. One answer is that some Republicans, and some of their allies, are less interested in changing pension and health benefits through negotiation than by dictating them through legislation. That option would be delayed from 2022 to 2027 under the pending concessions. With gubernatorial elections in 2018, 2022 and 2026, Connecticut could have three different governors by then.